Westlife’s Nicky Byrne is today grieving the loss of his father who died suddenly. Nicky Byrne Snr passed away unexpectedly yesterday. In a statement last night the Byrne family said: "The family would like to confirm the sad news of the very sudden loss of a husband, dad and granddad today." They described Nicky Snr as "a wonderful man who will be sadly missed by everyone whose life he touched". The Byrne family appealed for people to respect their privacy as they try to come to terms with their loss. Nicky Snr was himself a part-time singer on Dublin's cabaret and karaoke scene. He was left stunned during his 60th birthday celebrations last year when his pop star son bought him a Harley Davidson motorbike to mark the occasion. 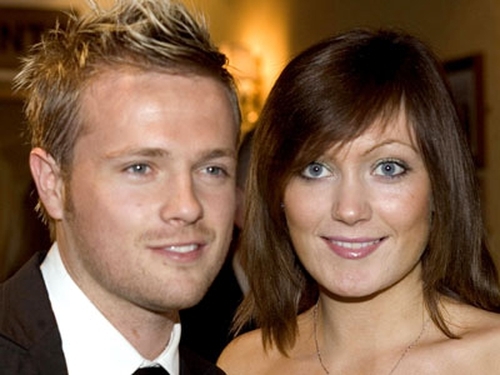 Nicky is married to Georgina Ahern, daughter of the former Irish Taoiseach Bertie Ahern. They have twin sons, Rocco and Jay.